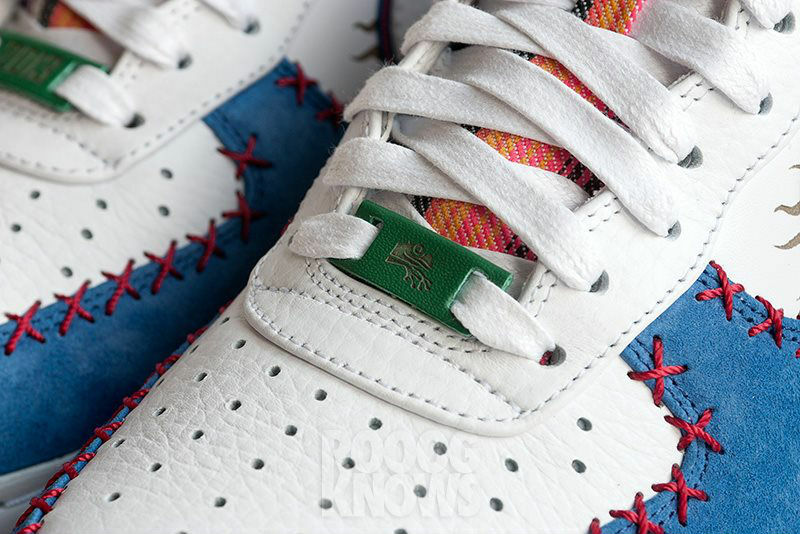 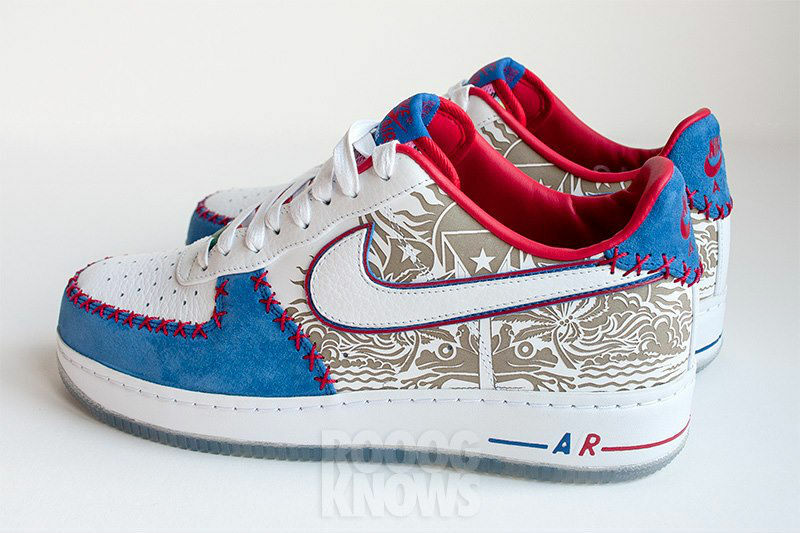 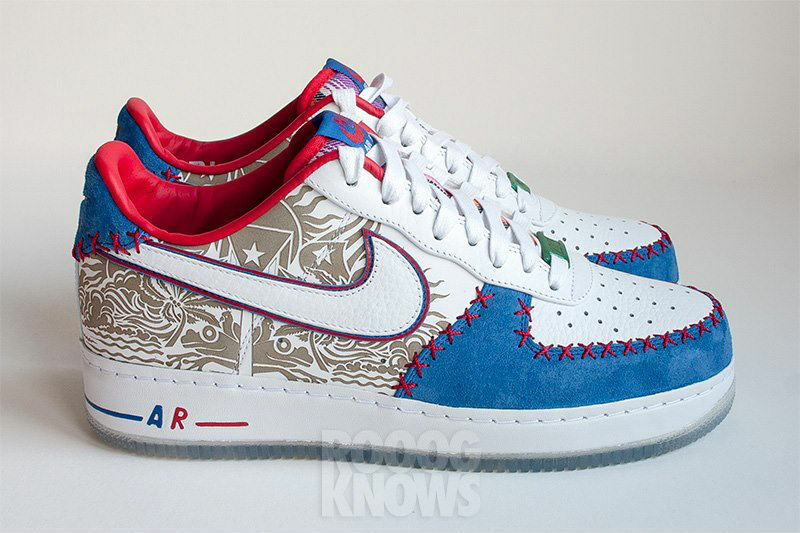 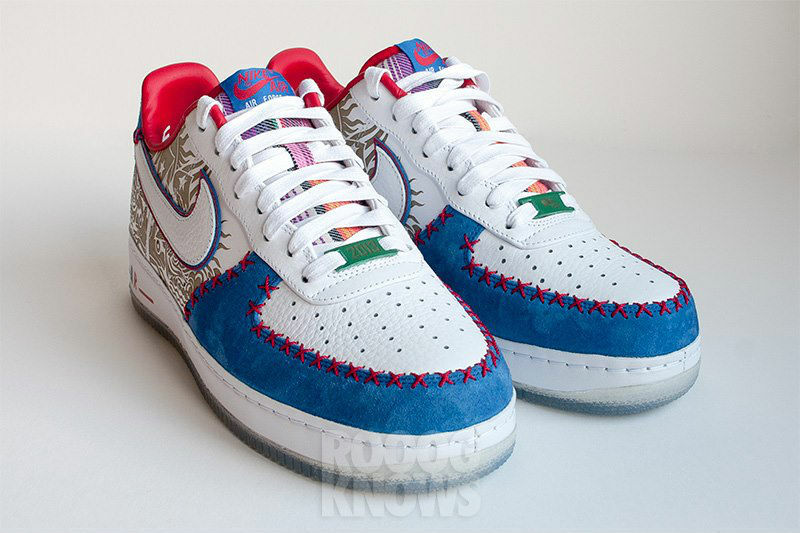 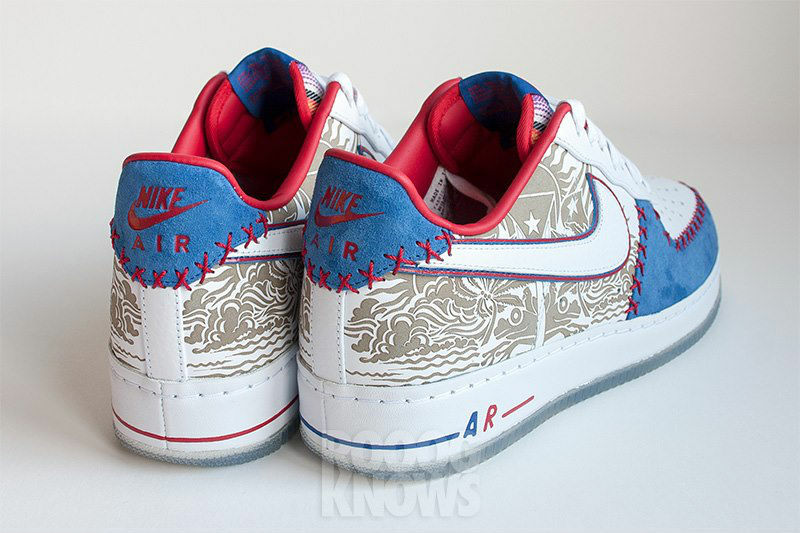 The Air Force 1 may once again salute Puerto Rico in 2013, as indicated by this recently surfacing sample. 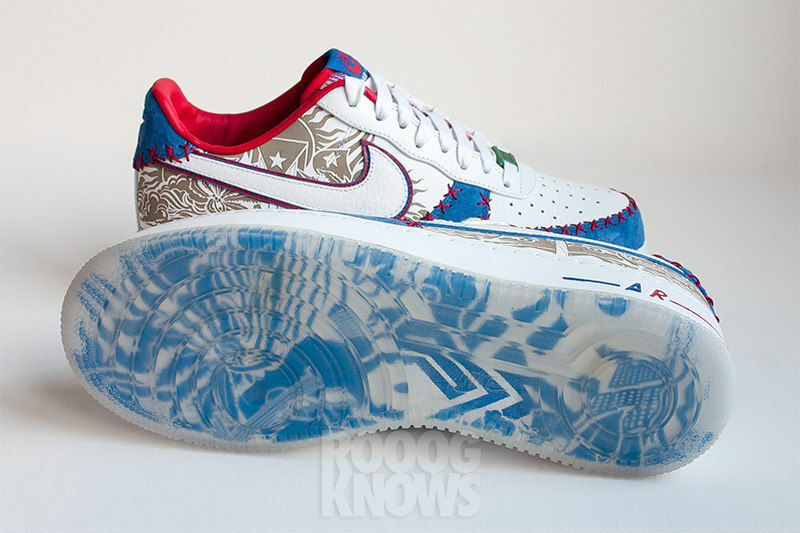 The Air Force 1 may once again salute Puerto Rico in 2013, as indicated by this recently surfacing sample. 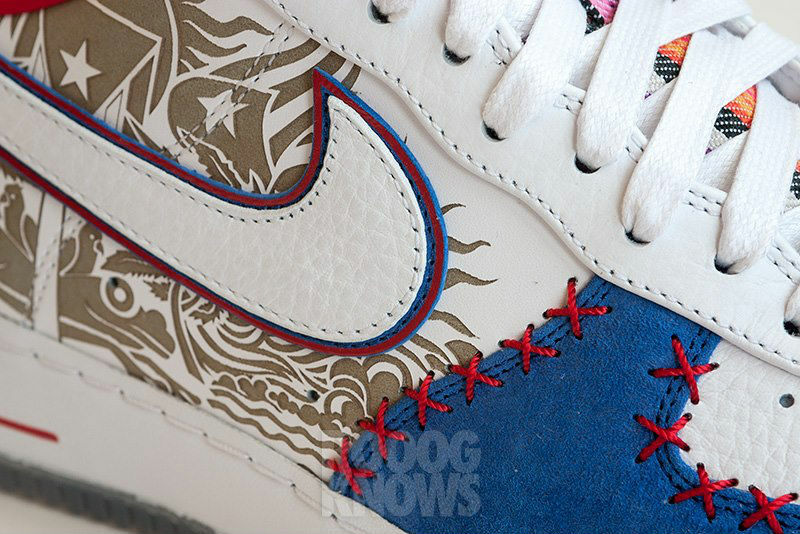 This pair features an assortment of white tumbled leather, royal blue suede, red baseball-style stitching and heavy lasering on the upper. 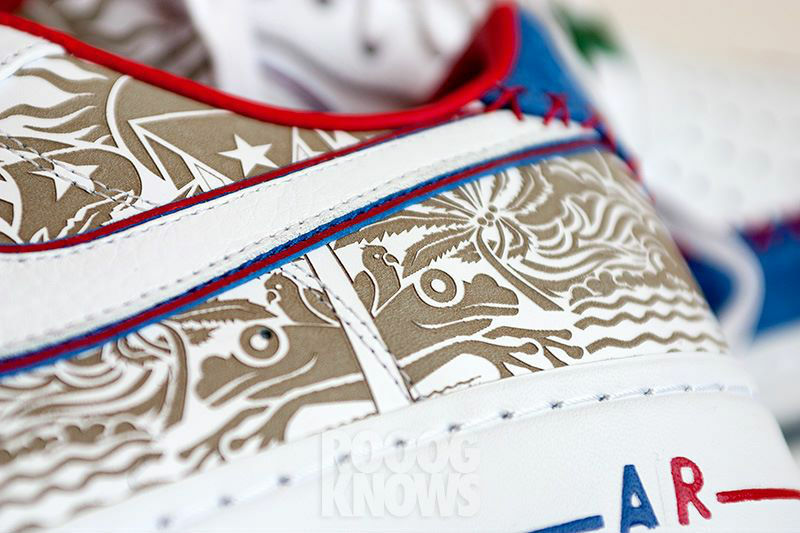 The Coquí frog, an unofficial territorial symbol of Puerto Rico, is represented in the lasering on the side panels and on one of the custom green lace dubrets. 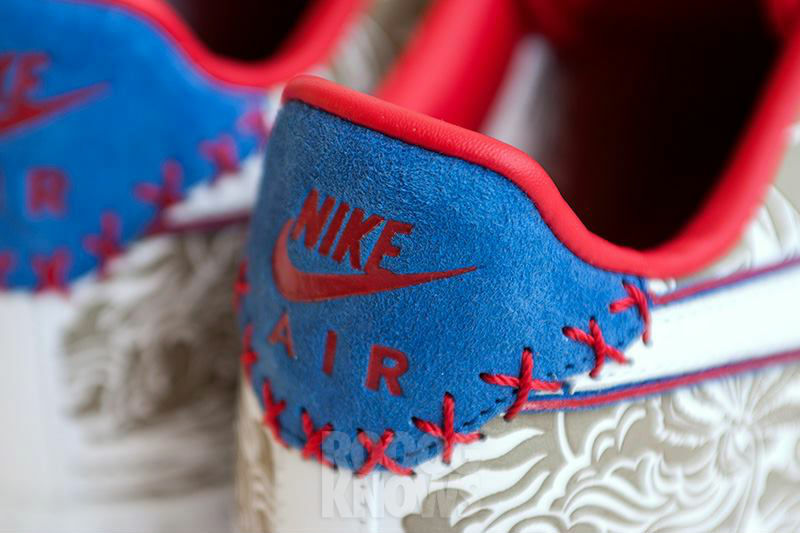 Red, white and blue 'AIR' branding adorns a white midsole, which sits atop a graphic-revealing translucent rubber outsole. 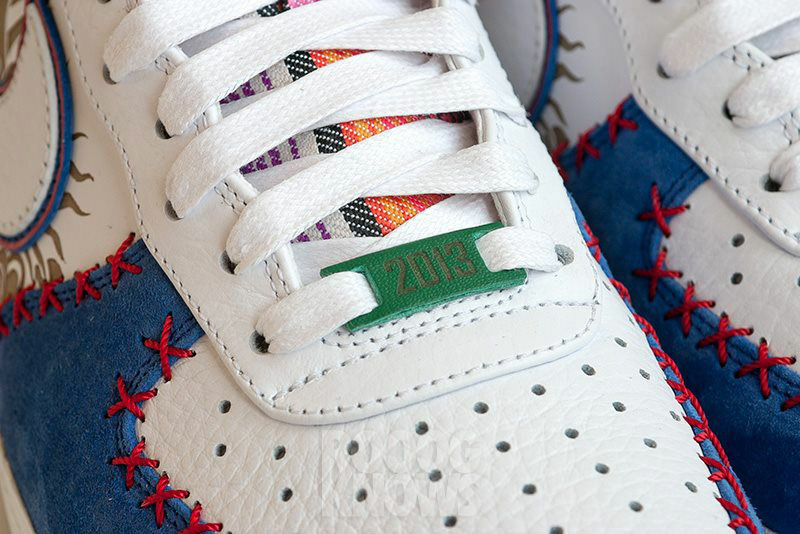 No word on a potential drop date at the moment, but we'll continue to follow the story here at Sole Collector. 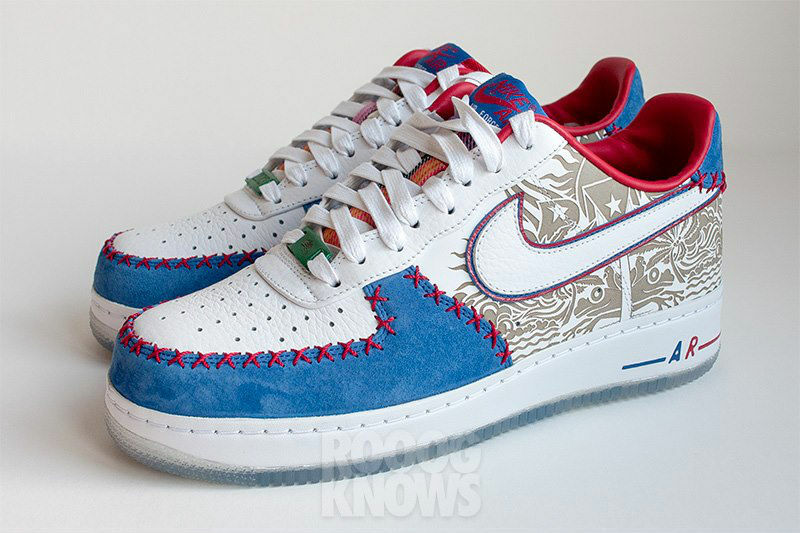 While we wait, let us know where you think this version of the "Puerto Rico" Air Force 1 stacks up against its predecessors.